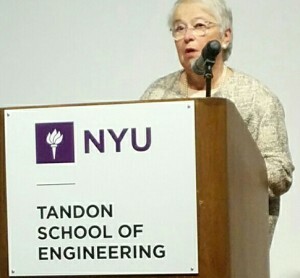 Schools Chancellor Carmen Fariña was invited to breakfast at NYU Tandon School of Engineering on January 28, 2016 to tell local businesses what they can do for the NYC Department of Education (DOE). 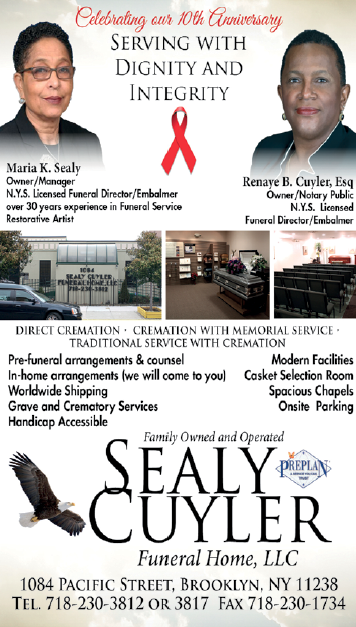 The invitation came from Brooklyn Chamber of Commerce President Carlo Scissura, therefore, the chancellor had the auditorium full with Brooklyn’s key business executives as well as educators and parents. Given the volume of industry operating in Brooklyn, the facilities can serve as hubs for more Career Technical Education (CTE) programs and more apprenticeships and internships for public school students at these businesses. Additionally, opening prekindergarten centers within the facilities [would serve families and businesses]. There is a need for the installation of telecommunications within all public schools, although the structure of the schools constructed in the 19th and early 20th centuries are challenging. The Brooklyn Chamber of Commerce can be a sponsor of the [11th Annual] Children’s Book Festival. The chancellor expressed keen concern for diversity in children’s literature which goes beyond niches to books containing characters of various backgrounds. She said, “Diversity in literacy is essential for moving New York City forward”. Brooklyn Chamber of Commerce members are encouraged to come into the schools to mentor students and offer employment and internships. Regardless of the size of the business, the students need to be given [meaningful] work. This goes very far in their education. To close her appeal, the chancellor commended Brooklynites for “being good about paying it forward” and asked the audience “to make a promise to do something”. During the “sit-down” with Downtown Brooklyn Partnership President Tucker Reed and Brooklyn Chamber of Commerce’s Carlo Scissura, the state of Universal Prekindergarten education (UPK), dual-language learning and special education were discussed. Fariña said “UPK is the most remarkable thing we did. The establishment of it couldn’t have been done without mayoral control”. Recognizing parents are the first teachers of their children, the chancellor cautioned parents to be mindful of how they communicate with their children. She observes across income levels and ethnicities that parents talk primarily to their children in a way that produces “yes” or “no” responses, while in schools the teachers converse with their students to develop critical thinking and progressively more sophisticated language skills. Being a proponent of people knowing more than one language fluently for cultural enrichment, Fariña supports dual-language learning wherein two teachers serve one classroom. One teacher instructs in the native language and the other instructs in English. Having this teaching model creates an inclusive environment where English-speaking and English Language Learners (ELL) can learn together. In this same vein, inclusion schools join special needs students with mainstream students. Questions from the audience added depth to the already-informative event. Lauretta Joseph, a mother of a special needs young son, is concerned about the Skills and Achievement Credential Certificate (SACC) given to special needs students vis-a-vis a regular diploma. Ms. Joseph anticipates barriers to her son’s future goals and employment should he receive the SACC. Farina’s response included: “Brooklyn has the highest number of integrated co-teaching classes of all the boroughs” and posited, “This is the solution to achieve a full academic experience for special needs students”. Prospect Heights Neighborhood Development Corp.’s Gib Veconi asked whether that community would get a dedicated middle school. The chancellor gave a firm, “It will be a dedicated middle school”.